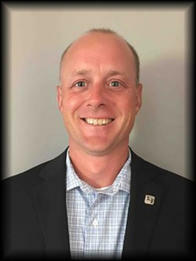 Brian is a tenured business banking relationship manager and leader with 12 years of experience in the financial services industry assisting small businesses meet and exceed their goals. He also has experience in leading and participating in forward-thinking projects within various organizations. In his current role, Brian helps small businesses such as manufacturers, wholesalers, professional services, etc. borrow and move money through their unique revenue cycles efficiently and effectively. He also utilizes other connections within his network to add additional value to his clients. Brian graduated from Indiana University and lives on the south side of Indianapolis. He enjoys spending time with his family, watching his children play sports, and anything outdoors. He is currently involved in the community by helping coach different youth sports teams as well as sits on boards revolving around different activities.